Do you want to move up from the elementary to the intermediate level? One of the most effective ways to learn new vocabulary and grammar is by reading. When learning a new language, it's difficult to find real reading material of the right level. Essentially, it needs to be easy enough so you can get started but challenging enough to ensure that you keep learning new and useful vocabulary at a manageable pace. Have you spent a great deal of time learning Spanish only to find that you can't converse in it? 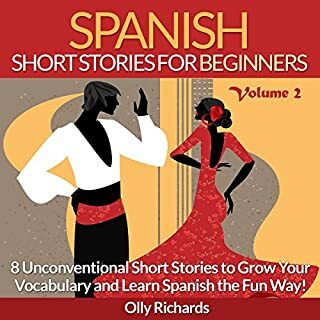 Have you been looking for something to help you break out of basic or tourist Spanish? Then look no further! In this book, you will learn how to take the concepts that we use in everyday English conversation and convey them in Spanish. You will learn the words, phrases, and grammar necessary to start speaking Spanish more naturally, the way the natives speak. By learning to speak more naturally, you will more easily be able to engage Spanish speakers in conversation, leading to immersion, which is the absolute best way to learn a language hands down. 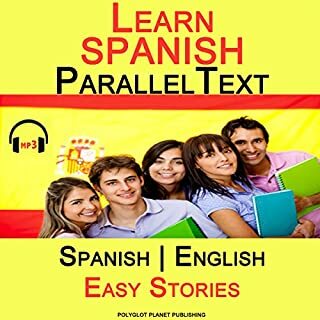 Everything in this book is written to help you learn difficult Spanish concepts, in a way that makes the most sense to an English speaker. As a native English speaker myself, I have experienced the same frustrations that many of you may now be going through. This book is written to end those frustrations right now. This book doesn't teach academic Spanish and will not overwhelm you with complicated rules of grammar. I just make everything as simple as possible so that you can take what you learn from this book and use it right away. 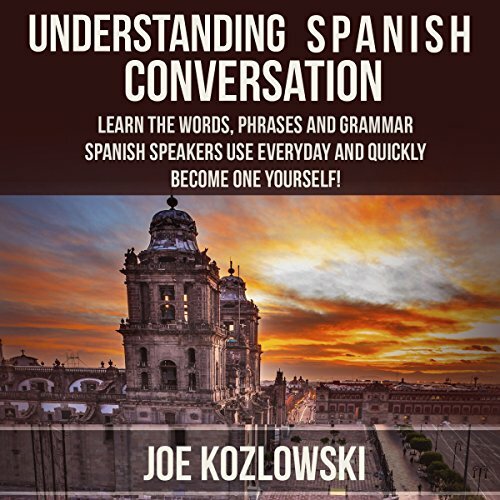 Buy it now and start improving your Spanish immediately! Quit Sugar! Live Longer! Live Better! quick and pleasant to listen to. no space is waisted and the words pronouced clearly, helpful for the beginner. I loved it! I thoroughly enjoyed this program. I found it to be very instructive and practical. I thought the content was very good and the delivery is concise. The material is good for general Spanish learning, not limited to just conversation skills. However, the speaker is extremely difficult to listen to and understand (especially the phrases) due to her very poor Spanish accent. 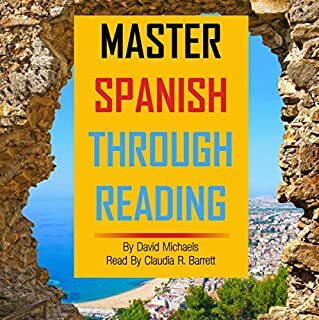 This could have been a really great resource if a real Spanish speaker had been used to pronounce the Spanish words and phrases. I was hoping for more conversation rather than just a bunch of idioms. Not bad for vocabulary and when to use certain words but this does little to improve conversational Spanish. This book has helped clarify many things for me. I have 4 years of HS/college study, lots of self study, and 2 years of full-time conversation experience with my Spanish-speaking husband (in the US, so I use Spanish/English about 40/60). This is just the reference I needed at this time to clarify a number of words and phrases I haven't been able to pin down. The book would be useless to a beginner who has no grammar understanding - it doesn't teach generalities, but illuminates specifics that are somewhat irregular. The (english) words and concepts are roughly in alpha order so I will be able to find most of them again easily. 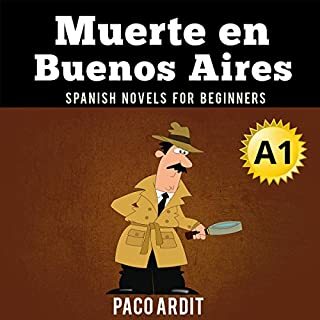 Some of the highlights include the words to drop, to become, to take, and several adverbs and similar words that dont translate cleanly, the subtleties of tener que and its equivalents, para/por, ser/estar, and quick review of when to use present subjunctive which (since I have been actively trying to work into conversation) should prove to be very useful. it also includes some of the stylistic issues (like starting a sentence or various ways to agree) that make me feel like an incompetent when I fail to work them in. I took off one star because the audio narration was pretty bad. I think most Spanish students will not suffer from this (because they know enough to know better) but the narrator is not a native speaker and her pronunciation is not good, and occasionally just wrong - especially accenting the wrong syllable or pronouncing an American "uh" rather than a Spanish "ah" (among other things). She even read an "ll" as "l" once. it didn't stop me from listening all the way through in just a couple of sittings. 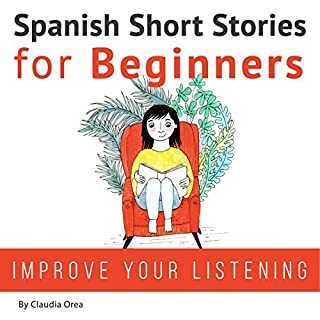 I just think a Spanish teaching reference should have ensured everything was pronounced well and correctly so that listeners could also take the opportunity to practice pronunciation. Definitely recommended for anyone feeling like their speaking ability has plateaued and needs to take it to another level, especially if you learn better by understanding and analyzing syntax than by ear. A word of warning for the student of Spanish, this was clearly a physical book adapted to audio form. If you want a book that gives you verbal guidance and time to practice speaking, move on. This is not that kind of book. This is also a book that is probably best when you already have a handle on some Spanish already. 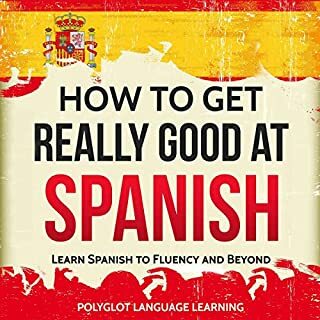 That said, it's a great book to use when you want to continue your Spanish instruction in public without people hearing you muttering to yourself. It goes much into depth with some of the nuances of Spanish that is often left behind when just learning grammar and vocabulary. The progression is in alphabetical order which is a little strange, but handy if you need to quickly reference something. The narrator unfortunately leaves much to be desired. She speaks English in a dull montotone while mumbling the Spanish almost incoherently to anyone not at the intermediate level. Again, save this book for when you have a solid grasp of Spanish under your belt. I bought this as an audible book, so I could listen while doing chores. It answers questions like when to use atras vs detras. It reviews a number of linguist ideas such as this, and common conversation mistakes that English speakers probably make, even advanced students. It is well worth a listen/read and the price is good. She reads way too fast and too much material gets exposed without review. Try another. Loved it! Practical, easy to understand and well presented. Many useful nuances are discussed. l will recommend this title to several friends and family members. This is one of the best if not the very best material I have come across to aid in Spanish speech!!! Essential if you're motivated to learn!!!!! Would you try another book written by Joe Kozlowski or narrated by Anna Castiglioni? Would you ever listen to anything by Joe Kozlowski again? Who might you have cast as narrator instead of Anna Castiglioni? If you could play editor, what scene or scenes would you have cut from Understanding Spanish Conversation? The first 5-10 minutes of self appraisal telling us how good the product is. We have already purchased the product - you can stop promoting now. The narration sounds like a computer generated voice.